Zuckerberg and Priscilla Chan's philanthropic foundation just helped fund an Indian teacher's self-learning app, BYJU's. 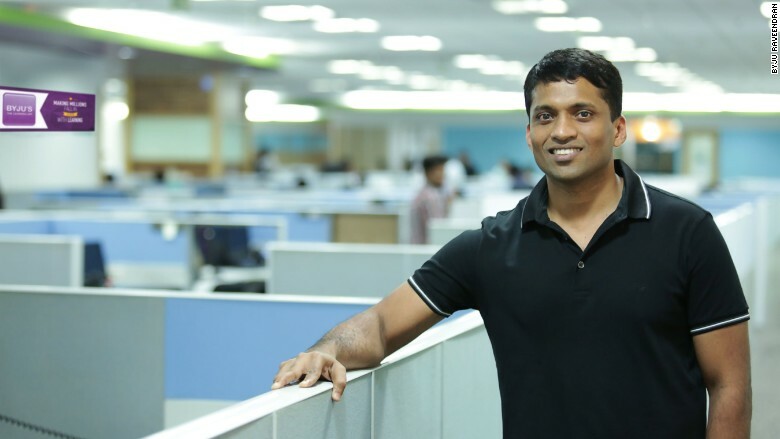 Indian entrepreneur Byju Raveendran knows the power of a shoutout from Mark Zuckerberg. Not only did the Facebook (FB)CEO recently praise Raveendran's edtech firm BYJU's -- and consequently bring significant buzz to the startup -- Zuckerberg just gave it a very large investment. BYJU's math and science learning app, which has 250,000 subscribers, helps students in grades 4-12 learn subjects like physics, chemistry and biology on their own. It uses original content and teaches it through a mix of video lessons, interactive activities and quizzes. 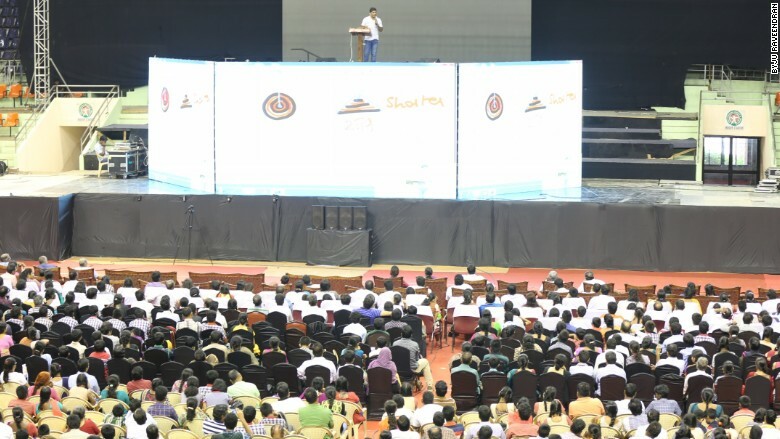 But the BYJU's app, named after its founder and launched in 2015 following four years of development, is unique: It adapts to a student's learning style and pace. For example, it will adjust a lesson's difficulty based on a student's proficiency level in a subject. It can also understand if a student is a stronger visual learner or learns through instruction. "You can never get this level of personalization in a classroom setting," said Raveendran. In a Facebook post last week, Zuckerberg said his support for the company stemmed from his own belief in personalized learning. "I'm optimistic about personalized learning and the difference it can make for students everywhere," wrote Zuckerberg. "[It's] why we're looking forward to working with companies like BYJU's to get these tools into the hands of more students and teachers around the world." Raveendran, 36, is taking Zuckerberg's vote of confidence in stride. Because the the company was profitable from very early on, he didn't initially look for an outside investment. But as news spread about the app, more investors wanted in. Eventually, BYJU's landed $85 million in outside funding prior to the CZI investment. "Content is our strength," said Raveendran. "We keep it simple and easy to visualize and we write the scripts for the lessons ourselves." 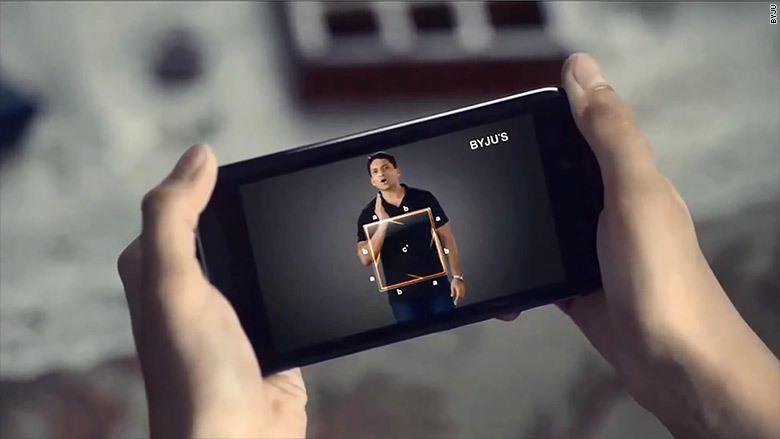 Since launching, BYJU's app has been downloaded more than 5.5 million times -- and 90% of its subscribers renewed their $150 annual subscription. "What's more exciting is that students are spending 40 minutes per session per day on the app, without anyone forcing them to do it," said Raveendran. "For me, this validates that they like it." 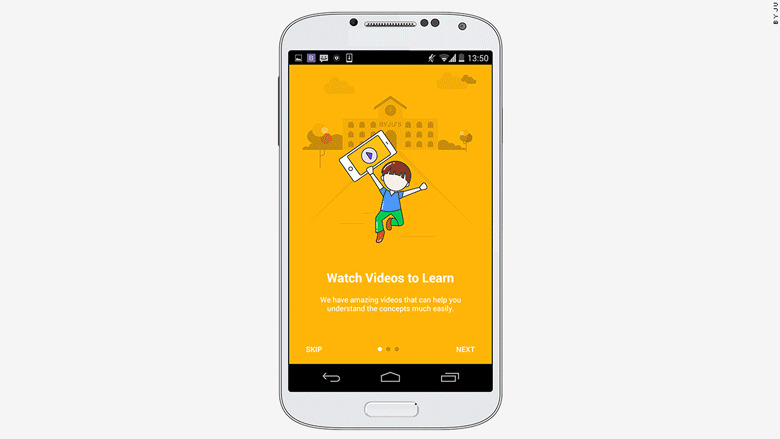 The app is being used by students in more than 1,400 towns across India. More than 70% of users are outside India's top 10 cities. Raveendran's love of learning stems from his upbringing in a small coastal town located in the southern Indian state of Kerala. He excelled in academics and graduated from a vernacular language school where both his parents were teachers. In India, there is a lot of emphasis on test-based teaching and learning, which encourages students to simply memorize information. Raveendran, who later became an engineer, cites his interest in sports as helping him understand that there are other types of learning. "I spent more time outside of the class playing cricket, soccer and table tennis," said Raveendran. "Many real-life skills are learned this way, and it helps you realize what you like and what you're good at." Because Raveendran liked math and science, he spent time learning those subjects on his own. 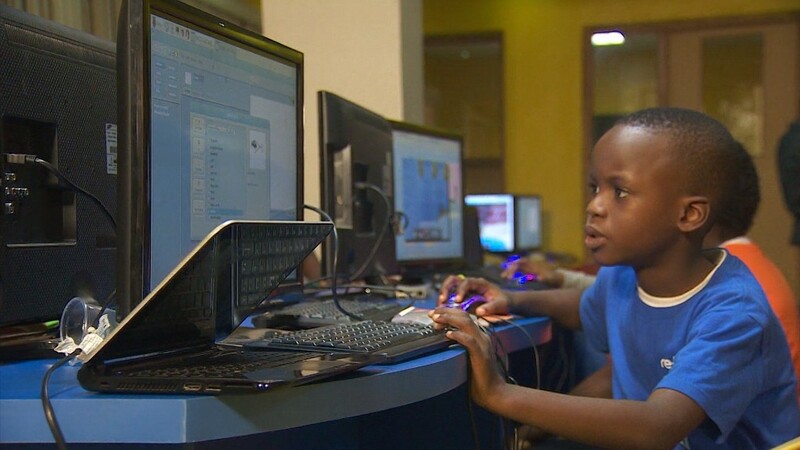 He eventually started teaching college graduates his method to help them prepare for rigorous entrance tests for management, engineering and medical schools. Raveendran teaching his method of learning to college graduates. His lessons became so popular that he went from teaching a using a classroom of 40 students to renting out auditoriums and stadiums in just a few years. BYJU's app is built around the experience of making education a fun and independent activity where teachers and parents only play a supportive role. In a recent survey conducted among parents whose children use the app, 79% said it improved their children's learning dramatically. With these results, he's eager to expand the program. "We haven't even reached 1% of students in India, so we have a long way to go," he said.